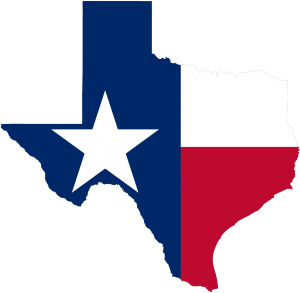 Boarding Schools in Texas: Who Are They? Read Their Mission Statement. If you’re searching for boarding schools in Texas, it’s important to know which one offers the right educational program for your son or daughter. As you research the schools, your first step should be to read the school’s mission statement! A school’s mission statement is important because it: a) tells you the school’s purpose; and b) describes the school’s basic educational philosophy. Reading the mission statement will immediately tell you what the school is about and if the school is an option for your child. This simple step will save you time in your research. If the mission statement sounds like it provides the right learning environment for your son or daughter, then go further and read the school’s vision statement and profile. A vision statement will tell you the goals of the school, and the goals will reveal what the school truly values and works toward. Often overlooked, the school profile is an efficient compilation of facts. Parents researching boarding schools can use a school’s profile to understand a school’s academic offerings, academic achievement and can reveal a great deal about the school’s quality of education. A school profile usually includes the classes offered by the school (including any AP, Honors, and IB courses), accreditation information, graduation requirements, special programs, grading scales, SAT and ACT score averages, and cumulative GPA ranges. Mission: The Brook Hill School provides excellence in college preparatory education, affirms the gifts and challenges the potential of each student, and encourages students to honor God through Christ-like character. Vision: The Brook Hill School is committed to training students to be confident in both their faith and their education. A Brook Hill education prepares them to read insightfully, think critically, solve problems logically, and communicate effectively within the framework of a Biblical worldview. Brook Hill students are encouraged to discuss ideas with genuine intellectual inquiry and Christian charity. A Brook Hill foundation equips them to make good decisions, grounded in the faith, while exercising Biblical truth; to face the challenges of the real world, without being sheltered from them; and to impact others for God’s glory. Mission: Believing in the limitless potential of girls, Hockaday develops resilient, confident women who are educated and inspired to lead lives of purpose and impact. Mission: In a faith-based, college preparatory environment, Incarnate Word High School prepares confident young women dedicated to academic excellence, Christian service and social justice. Vision: Grounded in academic excellence and service, Incarnate Word High School will be the premier Catholic college preparatory institution for young women. Mission: To develop disciplined, morally strong, college-ready young men who are prepared for responsible leadership. Vision: To provide a wholesome, patriotic and invigorating atmosphere in which students are inspired toward maximum achievement. Cadets are developed using a whole-man concept through carefully coordinated academics, military, athletics and spiritual programs. The Academy provides education and training which prepares a young man for college. Mission: North Central Texas Academy equips a unified, but diverse, student body for lifelong success by providing a comprehensive education from a Christian worldview that cultivates the mind, transforms the heart, and develops each student’s character and God-given abilities. Mission: St. Stephen’s Episcopal School, a coeducational boarding and day school of the Diocese of Texas, is a caring, diverse community, inclusive of all faiths and grounded in the Christian tradition, which nurtures moral growth and values the potential and dignity of every human being. We challenge motivated students to live intelligently, creatively and humanely as contributing members of society. We develop the whole person by providing rigorous academic preparation, stimulating physical activities and rich opportunities in the fine arts. Mission: The mission of San Marcos Academy is to educate young men and women within a nurturing community based upon Christian values. Vision: The vision of San Marcos Academy is to produce leaders whose lives are built on integrity, a strong moral compass, a total commitment to life-long learning and who exemplify Christ’s devotion to service and His compassionate concern for others. Mission: The mission of TMI is to provide an excellent educational community, with values based on the teachings of Jesus Christ, challenging motivated students to develop their full potential in service and leadership. Mission: The Village School, an international community, is committed to developing inquisitive life-long learners prepared to think critically, to collaborate genuinely, and to give of themselves generously, as they prepare to lead the next generation into an ever-changing world. To learn more about choosing a boarding school read our guide A Parent’s Guide to Boarding School or 5 Key Benefits of a Boarding School Education. If you have a son with unlimited but unused potential, contact Marine Military Academy. The mission of this all-boys, college-preparatory boarding school in Texas is to develop. disciplined, morally strong, college-ready young men who are prepared for responsible leadership. Call (956) 423-6006 or visit MMA-TX.org to learn more.